Union Public Service Commission has released list for Recommended candidates in Engineering Services (Main) Examination, 2018 with marks obtained. 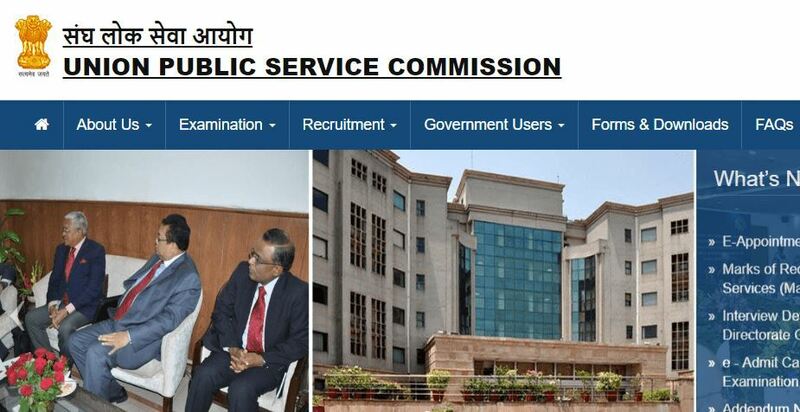 UPSC ESE final result declared on November 9th, 2018 in which ,a total of 511 candidates have been recommended for appointment to various Services/Posts in the Ministries/Departments concerned. Out of total selected candidates, 166 candidates are in Civil Engineering, 136 in Mechanical Engineering, 108 in Electrical Engineering and 106 in E&T Engineering. * Subject to candidates (General, OBC, SC and ST) having secured minimum 15% marks and PH candidates minimum 10% marks in each of the two objective papers. ** Subject to candidates (General, OBC, SC & ST) having secured minimum 20% marks and PH candidates minimum 10% marks in each of the two conventional papers.